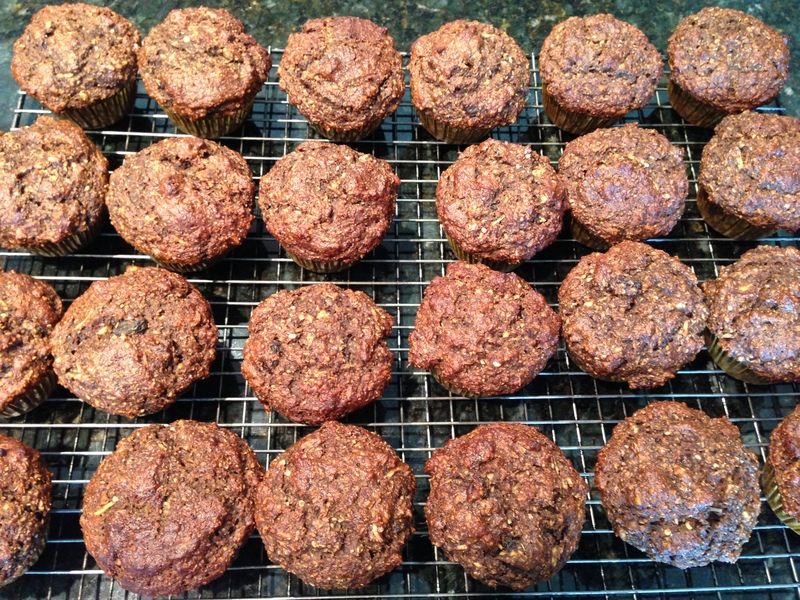 This is the ultimate healthy muffin recipe and has been a staple breakfast item in my family for a long time. Now, I know what you’re thinking, healthy bran muffins are bland and dry and I would rather eat chalk for breakfast any day! Trust me, give this recipe a try and let’s see if I can change your mind. This recipe makes a large batch, which can be frozen and simply zapped individually in the microwave for a quick and easy breakfast. Remember that breakfast is the most important meal of the day, so why not make it a healthy one! Start by checking to see if you have muffin liners. I cannot tell you the number of times I go to make muffins or cupcakes and I have no liners. Save yourself some time and make sure you put them on your grocery list! If you have them, go ahead and preheat your oven to 350ºF and line muffin tins with liners. Mix 2 cups of buttermilk with 1½ Tbsp of baking soda. 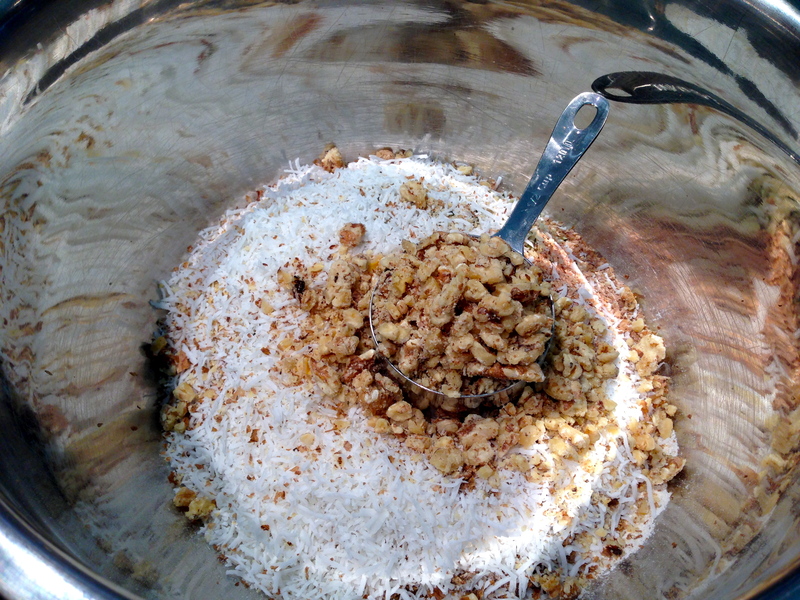 Let this mixture stand while you prepare the other ingredients. As the baking soda activates, the mixture should almost double in volume, so make sure your bowl is big enough. 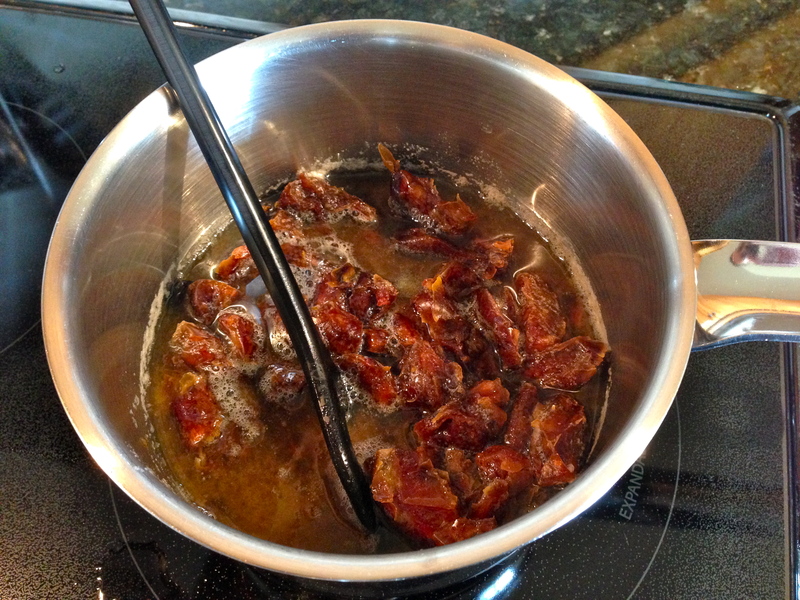 Next, in a medium pot, combine 1½ cups of dates with 1½ cups of boiling water. Bring the mixture to a boil and cook for approximately 5 minutes, stirring frequently until the mixture thickens. Remove the mixture from heat and let cool slightly. 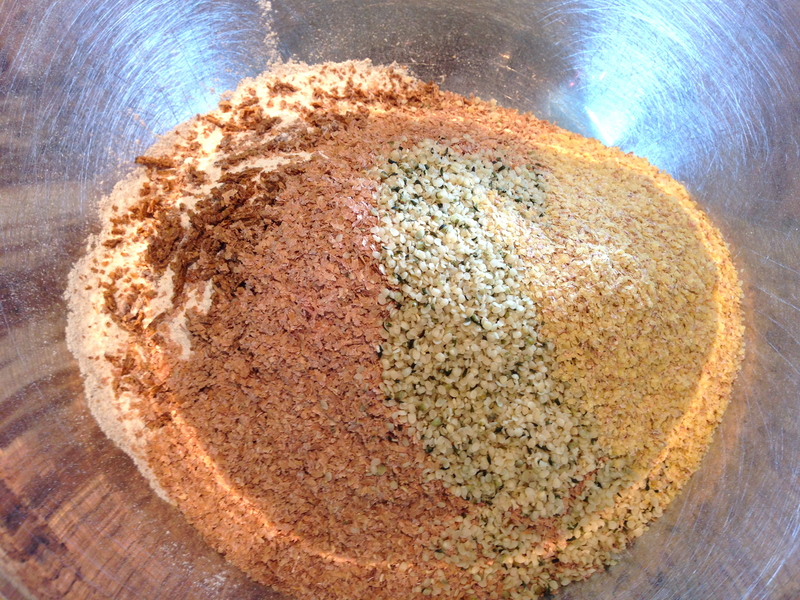 If you wish, you can use a combination of flour types such as spelt, buckwheat or whole wheat. You can also play around with the “additional fibre items” by using oat bran instead of wheat bran, replacing the oats with an extra ½ cup of flour, or combining a mixture of flaxseed, chia seeds, or hemp seeds, the sky is the limit. Experiment away! Next up, the bananas! 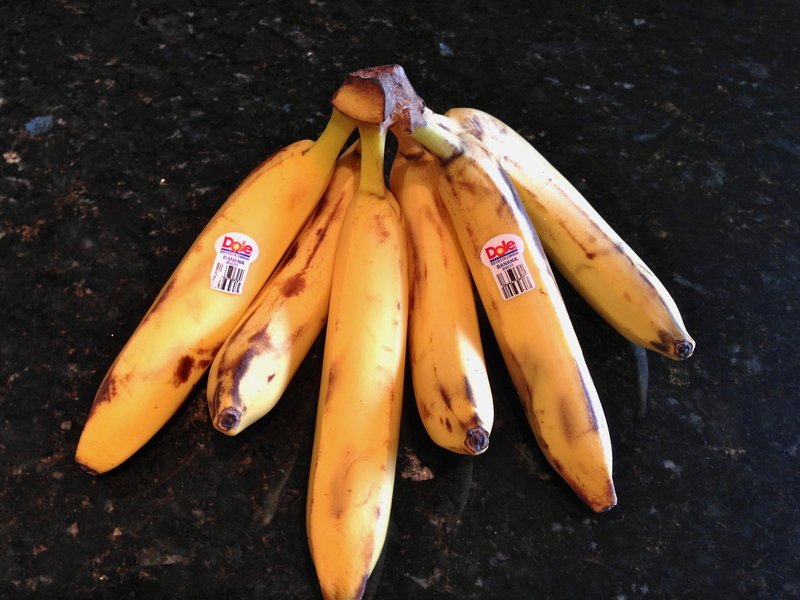 I like to freeze over ripe bananas to use for baking. 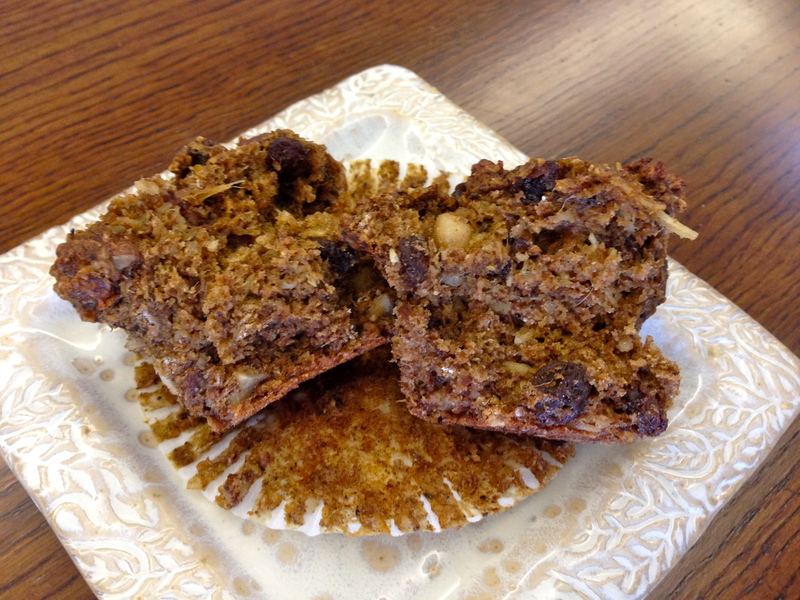 You will notice there is no sugar in this recipe, I use the dates and bananas as natural sweeteners and to pack in some additional vitamins and minerals. That being said, you may have to defrost the bananas if frozen and use a hand blender to mash into a smooth consistency. Mix ½ cup of oil, ¼ cup of molasses and 2 eggs in a separate bowl. Combine with the mashed bananas and then mix in the date mixture. Note: if the date mixture is still piping hot… chill it slightly in the fridge or freezer. Then, add in the buttermilk. Now that you have all the wet ingredients mixed and all the dry ingredients mixed, you know what’s next, combine everything together. But, do not over mix! You will notice this as a common theme in many recipes as it is essential to maintaining a soft texture and minimizing the development of gluten in the flour. SO when a recipe instructs you to “mix until combined” we’re not joking around, muffin batter tends to lumpy… just let it be. 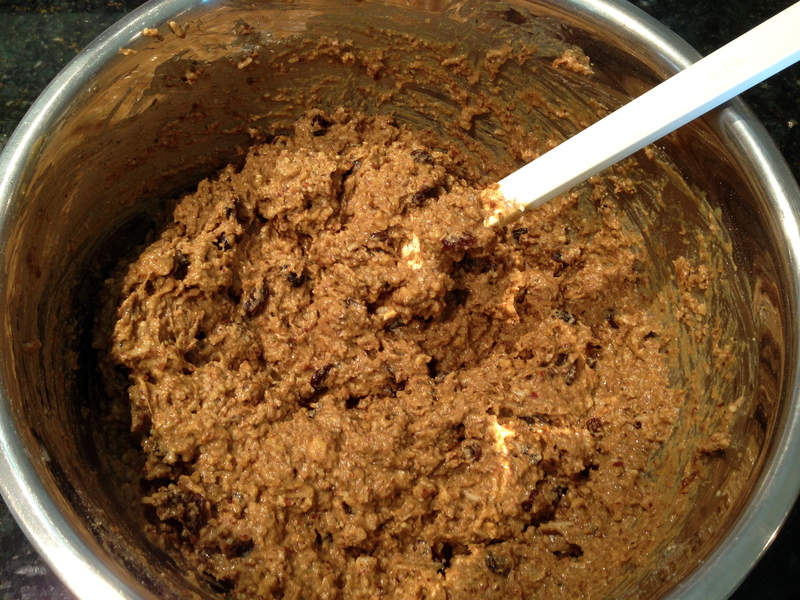 Add the raisins at the last second and give it a few whirls before spooning the batter into the muffin tins. If you notice the batter is a little too dry and sticky, you may add in additional buttermilk. The batter should be fairly thick though. Spoon the muffin batter into your prepared muffin-lined tins. 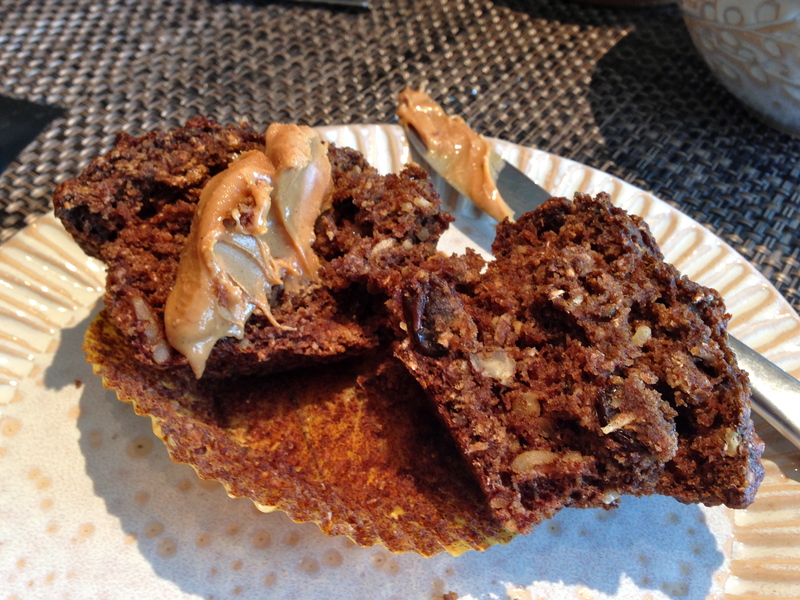 I tend to fill each tin until it is heaping, as my favourite part of a muffin is the top. Let’s be honest, whoever invented muffin top pans is a genius because I always save the top for last! The recipe should make about 24 muffins, give or take a few. 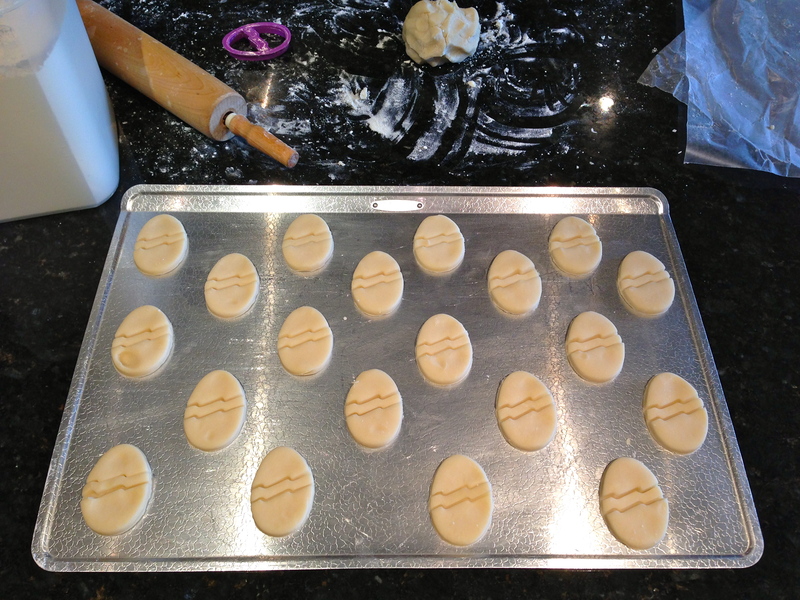 Once the batter is evenly distributed, bake at 350ºF for approximately 25 minutes. 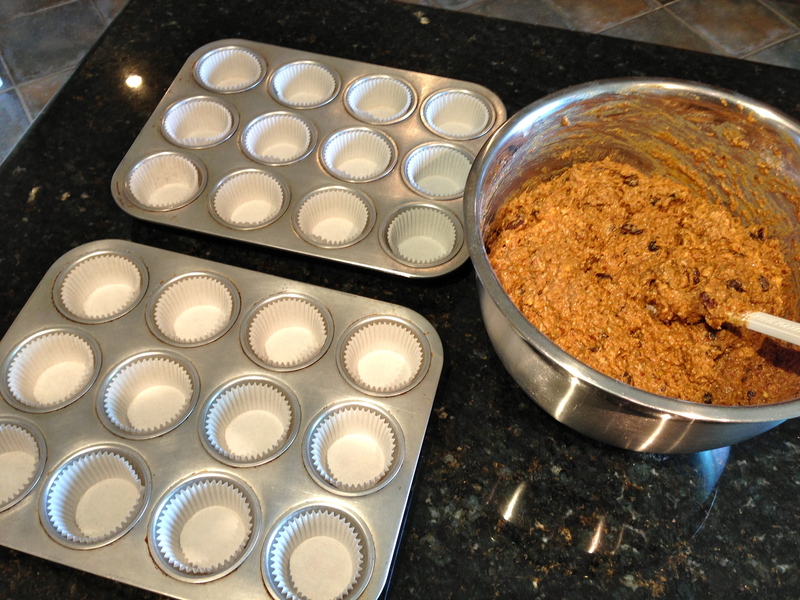 Once the muffins are cooked, remove from the muffin tins and allow to cool completely on a wire rack. I like to throw most of the batch in the freezer to seal in the freshness, but if you have a busy household, keep them on the counter for a few days or in the fridge. These muffins pack in a good punch of fibre, vitamins, minerals and a decent amount of protein. 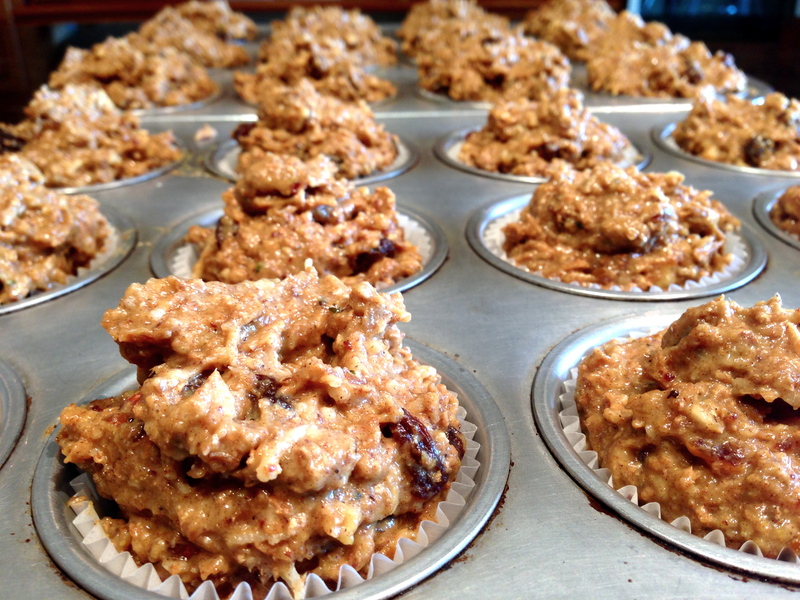 Try spreading natural peanut butter on a slightly warm muffin or enjoying with a few pieces of cheese or hard boiled egg. Mmm mmm good. Who doesn’t love a good shortbread cookie? 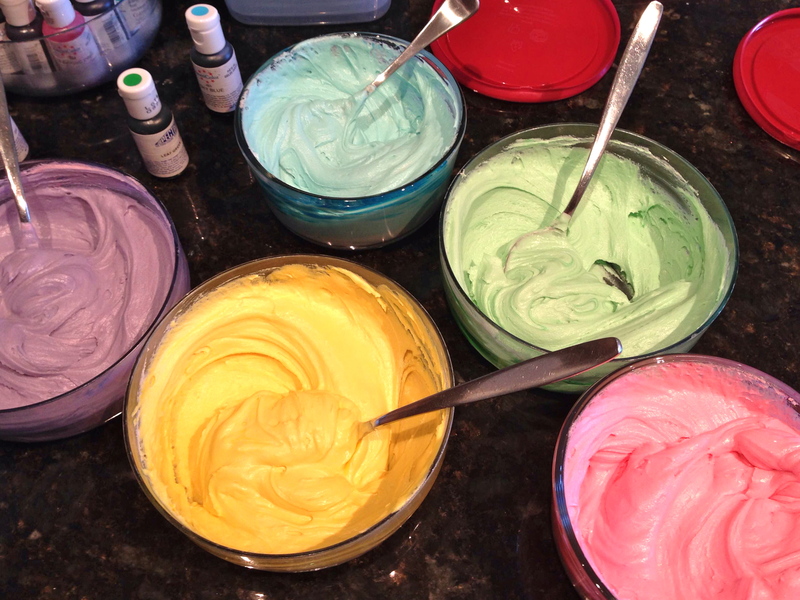 Especially when it is all dressed up in coloured icing and in the shape of an Easter egg! Butter is the secret ingredient in these bad boys. That’s right, butter and lots of it! So maybe consider only making these cookies for special occasions because they are quite indulgent. 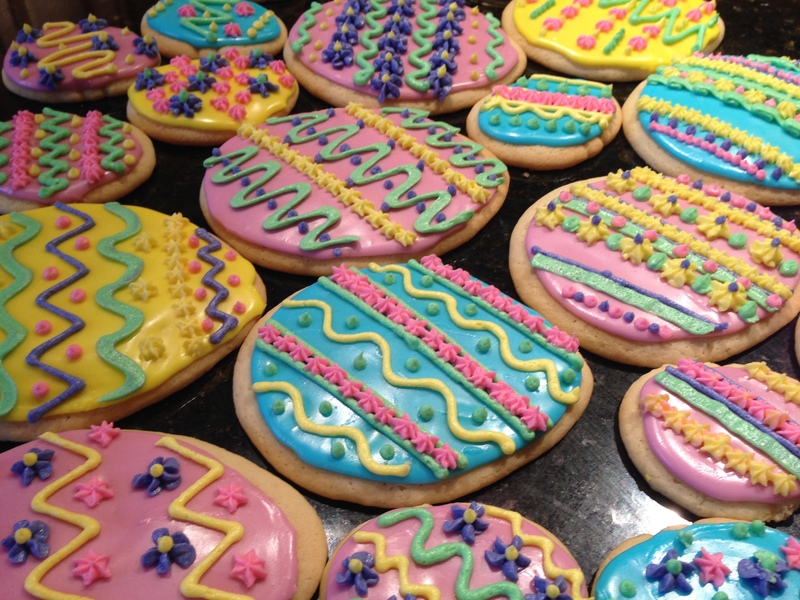 Since Easter is just around the corner, I decided to make egg shaped cookies, however you can choose to make tulips, hearts, shamrocks, snowmen (you get the picture, any shape you’d like) or simply add chopped chocolate and call it a day. Start by softening 1 ½ cups of butter in the microwave. Do not melt, just soften. 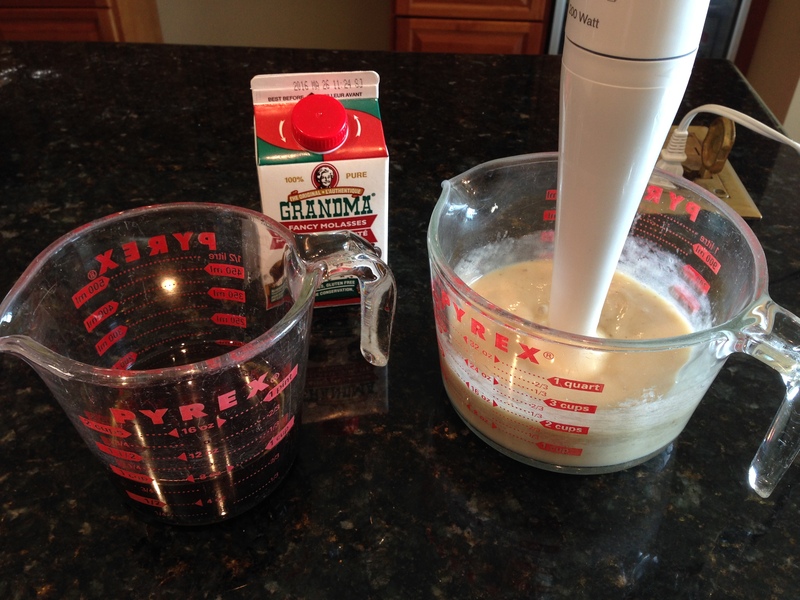 Cream the butter in a large bowl using a hand held mixer or Mixmaster. Mix all the ingredients together until thoroughly combined. Once the dough has formed, stop mixing! Remember, do not over mix! 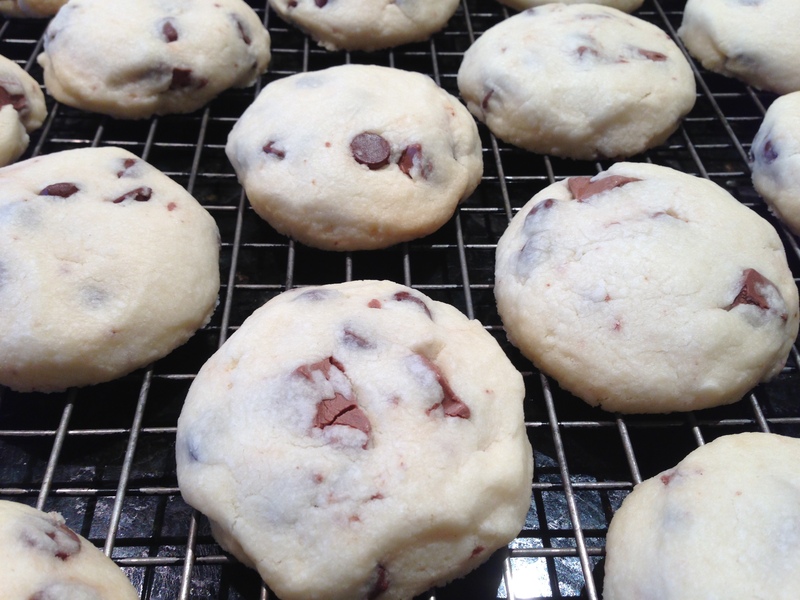 Now, if you plan on making your cookies into cool shapes, it is best to chill the dough first. Wrap in wax paper and chill in the fridge or freezer until firm. Flatten the dough in to a round, disc shape as it will chill more evenly this way. Once chilled, roll the dough out on a floured surface using a rolling pin. Try not to make it too thin, approximately 7.5 millimeters to be exact. Use your choice of cookie cutters and go to town! If your creative juices aren’t running high or if time prohibits you, skip the chilling and cookie cutting, and add chopped chocolate to the dough as soon as it is mixed. 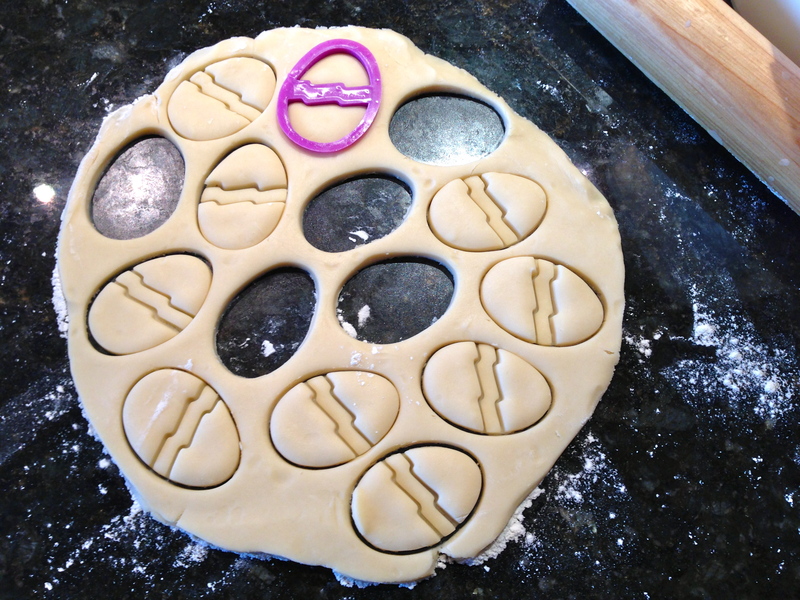 Form the dough into balls (approximately the size of a golf ball), place on a cookie sheet and flatten slightly. Bake the cookies at 300ºF for 15 minutes or so. Once the edges start to brown slightly, remove the cookies from the oven and let them cool completely on a wire rack. Next up is the fun part. 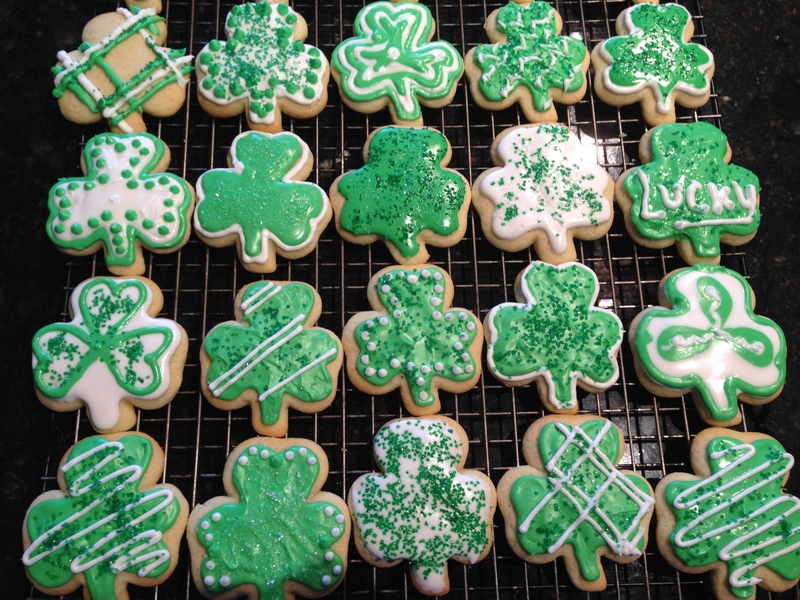 Using either store bought or homemade icing, decorate your cookies into masterpieces! 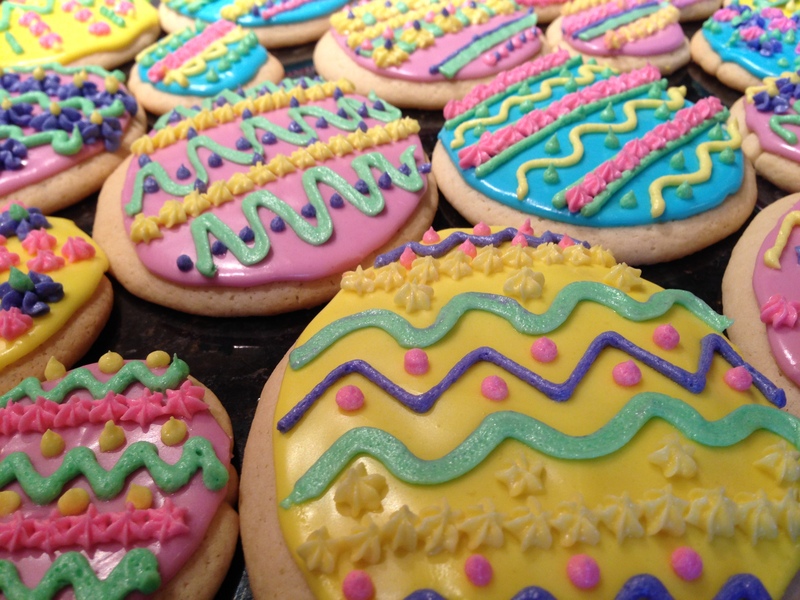 Use swirls, dots, zigzags and squiggles to bring your cookies to life. Last but not least, share with your friends and family. 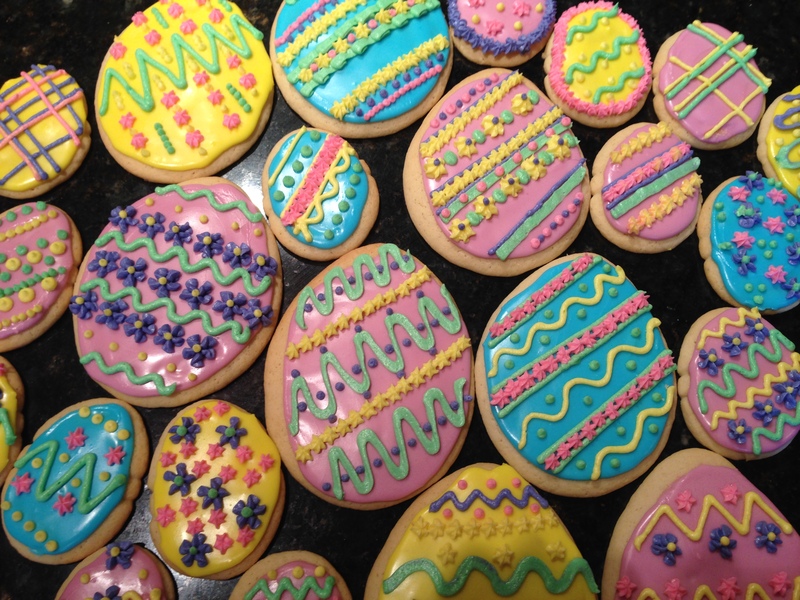 I promise they will be impressed with your cookie making talents… add that to your resume! Hope everyone has a wonderful long weekend.